He has found his dream job, says AUT business alumnus Bronson Wilson who now works for media giant Viacom International Media Networks in Amsterdam. “I manage the content media operations for the Nickelodeon channels in France, Southern Belgium (Wallonia), Germany, Switzerland and Austria, and video on demand for Germany, the UK, Australia and New Zealand. I get to work in one of the most beautiful cities in the world alongside some of the most amazing people I’ve ever met, and I get to watch cartoons for a living to make sure that all content on my channels is sourced and up to standard. He never thought he would work in the media and entertainment industry, Bronson says. “I’ve never really been the type of person who plans five years in advance. Five years ago I was working construction in Canada, and never would have imagined that I would be working in one of the world’s largest media agencies in the world, located in one of the world’s most beautiful cities. He constantly draws on the skills he developed at AUT. AUT’s reputation for a more practical university education is what first attracted him, Bronson says. Being able to gain practical experience in his final year was one of the highlights of Bronson’s studies. 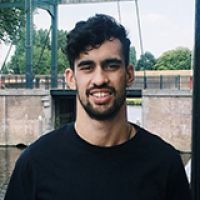 “For my final-year workplace experience, I worked for the smart navigation technology company TomTom in the Netherlands. During my placement, I managed all marketing materials for my department, created email campaigns and sales pitch presentations, overhauled their line of product presentations and assisted on UX & UI design concepts. The Market Insights: Marketing, Advertising, Retailing & Sales major is now called Marketing, Advertising, Retailing & Sales.